A conversation about Best American Fantasy at Booksquare, in which Jeff, Ann, and I throw questions at each other. Many thanks to Kassia Krozser for inviting us to do this!The evidence is before you, my children. Garbo or ... Harpo? You decide! 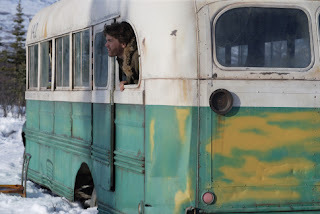 I admire Jon Krakauer's book Into the Wild quite a bit, and so I was wary about seeing the movie. What I most like about the book is the interplay between Krakauer's sensibility and Chris McCandless's story -- Krakauer understands the mix of idealism, frustration, and foolhardiness that led McCandless to abandon as many of the accoutrements of civilization as he could, dub himself "Alexander Supertramp", and set out with very little preparation or knowledge, eventually heading for the wilderness of Alaska -- and yet Krakauer is also different enough in temperament from McCandless to be able to provide a counter-narrative through his wrestling with the implications of McCandless's actions, ideas, and mistakes. It's not as drastic a counter-narrative as Werner Herzog provides the story of a somewhat similar Alaskan dreamer, Timothy Treadwell, in Grizzly Man, but it's enough to make the book compelling and thought-provoking. Some of the most fun I had at the World Fantasy Convention a few years ago involved hanging out with various Australians. They all stood on their heads to adjust to the gravity here, and I just found that tremendously endearing. Now and then friends send me links to weird things. I don't blog about them much, because, well, we're all pretty good at finding weird things on the internet these days, aren't we? But sometimes.... Sometimes somebody sends me a link to something so bizarre that I must share, because the joy I get from such things simply cannot be contained. Sad news this morning: Giornale Nuovo has reached an end. Giornale Nuovo is a blog I've been reading and linking to for years now, and, in fact, I have probably linked to a greater percentage of the posts there than to any other blog, because though new material came out somewhat infrequently, the posts were so often fascinating and beautiful -- many times focused on artwork of some kind -- that they deserved much attention. The archives are rich and extraordinary, and well worth sauntering through. I will miss the excitement of new GN posts, but I am grateful for all that has been given to us over the years, and I will keep some hope up for an eventual resurrection. Leonard Lopate did a good interview with Stephen King on WNYC last week (the day after my birthday, actually). King talked about his edition of The Best American Short Stories and about short stories in general, and he gave much praise to F&SF. It's well worth a listen. Whenever I encounter a piece of writing that blows the top of my head off, I try to settle down and figure out how it works and what I so forcefully responded to within it. Sometimes I can figure it out, sometimes I can't. Sometimes the top of my head just won't go back on. So it is with "Akhil and Judy" by Avi Lall, published in the latest issue of Porcupine Literary Arts Magazine. You might not have heard of Porcupine, but it's worth your attention; this issue in particular is rich with good poetry, prose, and pictures. But "Akhil and Judy" is the standout for me, and a standout among all the stories I have read this year, or, for that matter, any year. I'm experimenting with a new version of the blogroll in the sidebar. The hack to create it comes from Google Operating System and utilizes Google Reader. (Yes, we've pretty much become All Google All The Time here at Mumpsimus Central.) I do wish there were a way to ignore the first articles "A" and "The" when alphabetizing, but I haven't figured it out yet; also, people are alphabetized by their first names. Though I am shamefully behind in blogging, reviewing, interviewing, and e-mail answering, nonetheless, I am not dead yet. Just busy in the midst of a few different things, especially trying to figure out how to teach anything to energetic 9th and 10th graders and, in the bits of spare time that allows, reading stories for the next edition of Best American Fantasy (thanks, by the way, to Rick Klaw for a very nice review in The Austin Chronicle). Proof of my status as a living, breathing human being can be found at two upcoming public events in Manhattan. First, on October 30, I will be participating in the Interfictions reading at the wonderful McNally Robinson bookstore, with some of my favorite fellow-readers, Tempest Bradford, Veronica Schanoes, and Delia Sherman. There are few awards that much interest me these days, but I look forward to the announcement of the Nobel Prize in Literature every year, not because I think it's more legitimate than any of the others, but because it's so often weirdly surprising, and now and then it goes to a writer I quite respect. The choice of DorisLessing this year surprised me mostly because she's been rumored for it so long that I was sure her time had passed, especially since most of her work since her autobiographies hasn't gained much acclaim. Edgar Allan Poe, H.P. Lovecraft, and ThomasLigotti are a reasonable list of the three best writers of horror short stories. In the tradition of gnarled minds that scare more with their thinking than with simple shocks, they're almost certainly the ones who matter most. 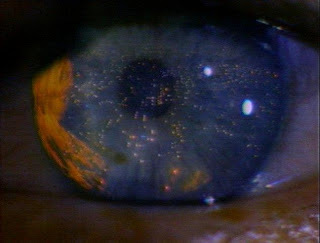 It's a shame that Warner Bros. is, so far at least, only releasing Blade Runner: The Final Cut in theatres in New York and Los Angeles, because the virtues of this version lie not so much in the few changes from the earlier "Director's Cut", but in the remastering of the imagery and sound. To see the new version in a theatre like the Ziegfield in New York, with a giant screen and excellent sound system, is a visceral and sometimes truly stunning experience. Though I had a rather scarring encounter with Bat Segundo some time back, I remain in awe of the quality of guests he gets for his podcast and the interesting directions the interviews go in. He's just posted some new interviews, including ones with Jeff Parker (who I just met last week), Katha Pollitt, Chimimanda Ngozi Adichie, and Brian Francis Slattery, author of the marvelous Spaceman Blues. When I read fantasy, I read for the bizarre, the wrenched, the undertone of difference & weirdness that defamiliarises the world I know. I want the taste of the writer’s mind, I want to feel I’m walking about in the edges of the individual personality. I don’t want to read a story misrepresented from some other culture’s folklore, or a story in which mainstream ideology of the last fifty years is presented as myth. Go read Clive Barker. Go read Kenneth Patchen, who was reportedly an unlikeable man but who could write you a fantasy in a couple of lines. Or put “The Gates of Eden” on repeat. If you're interested in Hobart, be sure to stop by the website ... and do consider subscribing -- it's an attractively-designed magazine with eclectic content (in a good way).